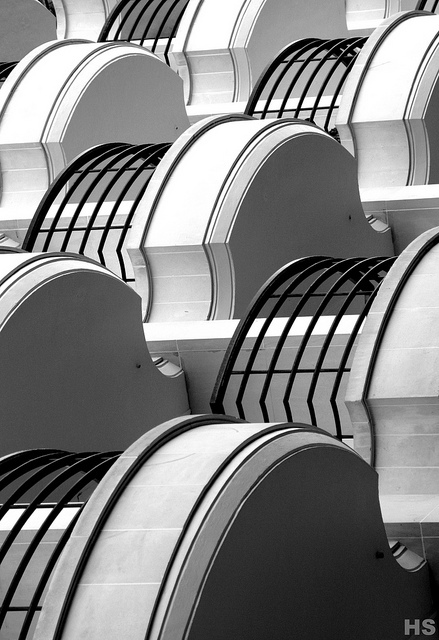 Spotting a repeating pattern in an apartment building's balconies is one thing - turning the image 90 degrees to create a whole new abstract feeling is another. Still pleased with this experiment. The black and white conversion is almost mandatory in this type of shot.